Anns Grove School Summer Fayre – Car Boot and Flea Market pitches available | IT'S HAPPENING IN HEELEY! 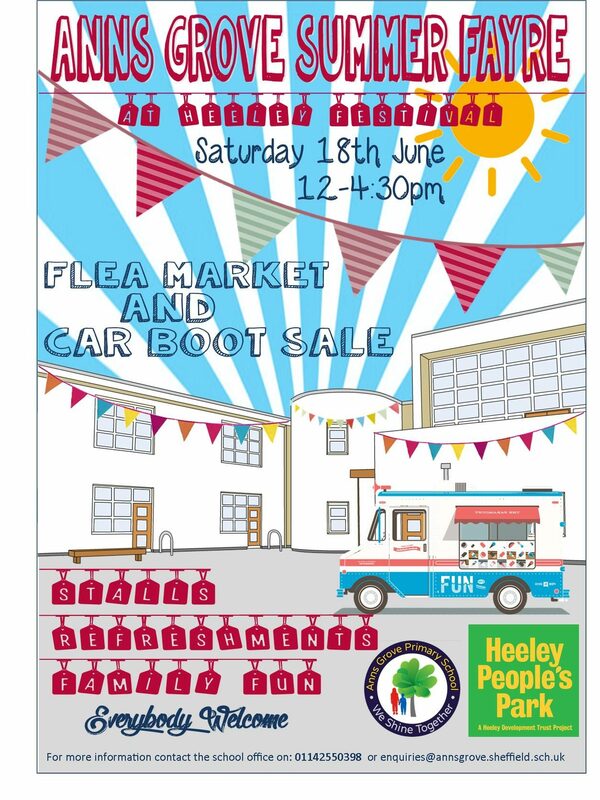 Pitches are available for the car boot sale and flea market at Anns Grove School Summer Fayre, taking place on Saturday 18th June, 12-4.30pm as part of this years Heeley Festival. A standard pitch is priced at £10, with larger spaces available for £15. Family friendly activities will run all day, including football challenges once again hosted by Sheffield United.